We are instrumental in offering our clients with Ach Supports that are widely demanded by several individuals. All our products are designed in accordance with health care industry, using premium raw material and latest technology. In addition to this, we have the capability to customize all our products as per the demands and requirements of customers. We have gained expertise in presenting a wide assortment of Foot Care Products that are widely used for avoiding bad smell from the foot. 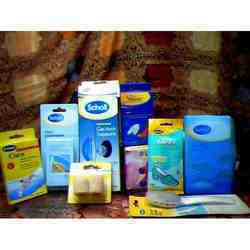 All our products are available in various size of packing at market leading prices. These are developed using premium ingredients that are procured from the trusted vendors of the market. 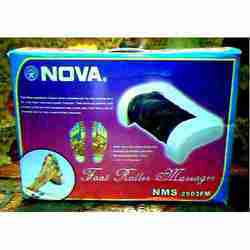 Widely used for providing the relieve in acute pain in the foot, our Ankle Foot Massagers are widely demanded by the customers. All our products are designed and manufactured using high-grade raw material to assure that final output meets with international quality norms & standards. In addition to this, we provide customization as per the specifications laid down by the customers. We are instrumental in offering our clients with Diabetic Foot Care products that are widely for controlling the bad smell and avoiding itching. Our products are manufactured using premium raw material, which is sourced from the reliable vendors of the market. Conform to international health care industry standards, all our products are widely demanded by hospitals, nursing homes, dispensaries and several individuals. 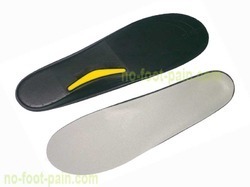 Our company, Medi World, prominently known as a leading supplier and stockiest of a wide range of MCP Slippers to our esteemed customers spread all over the world. These slippers are available in various sizes to cater the larger chunk to the users. 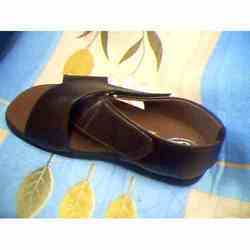 These slippers are most commonly used by the diabetes patient as it gives the comfort and easiness to the feet. 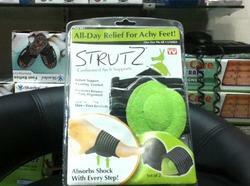 Looking for Footcare Products ?